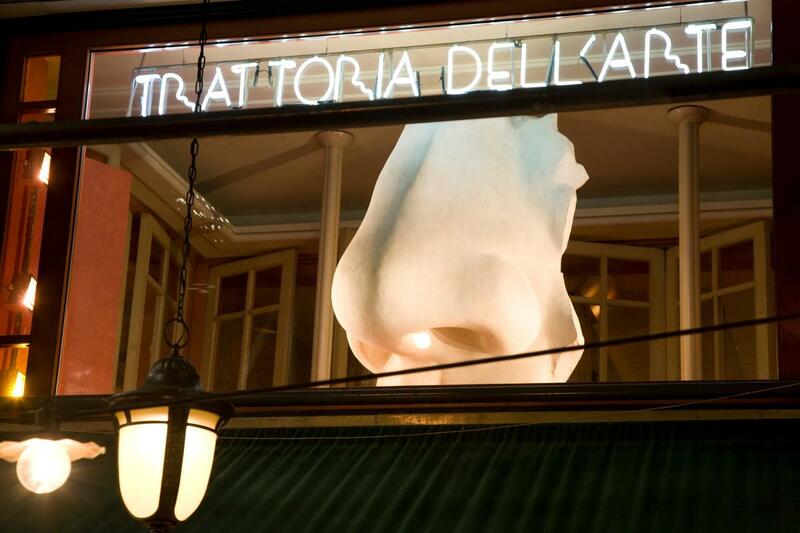 A favorite of concert goers at nearby Carnegie Hall, Trattoria Dell'Arte is a design landmark, thanks to an interior done by the legendary Milton Glaser, and a entrance marked by a giant white nose. The kitchen serves homey Italian fare, done to a high standards: pizza with a nicely singed crust; osso bucco, served with tomatoes, tart capers, and risotto; and a seafood pappardelle, with a white-wine sauce studded with clams, shrimp, and crab. Fiends for variety can opt for sampler plates culled from the snaking antipasto bar, which offers cured meats, and an ocean of seafood.